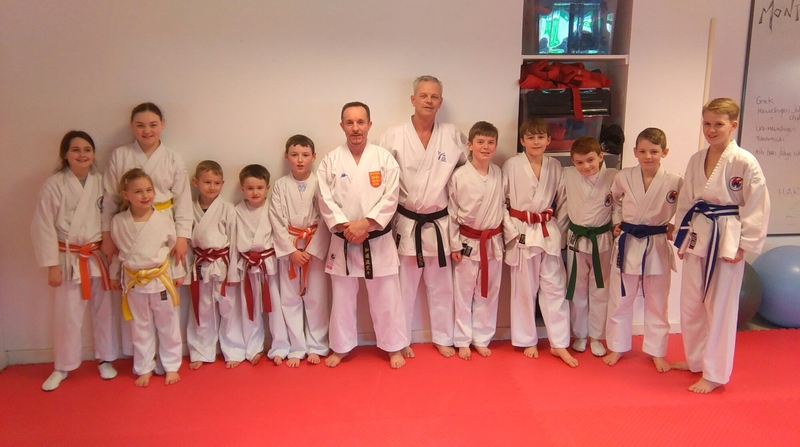 On Saturday 5th March we had the pleasure of hosting a Master’s course with Sensei Lee Minion. Sensei Minion is one of the Wadokai England coaches and Aiwakai Dan Grade examiners, he also has an extensive knowledge of practical Karate. This means that his courses can cover pretty much everything you need to work on, from beginners right through to the instructors. It’s an absolute privilege to be able to have Sensei is our own Dojo teaching, and is especially great not to have to travel for hours for the course. 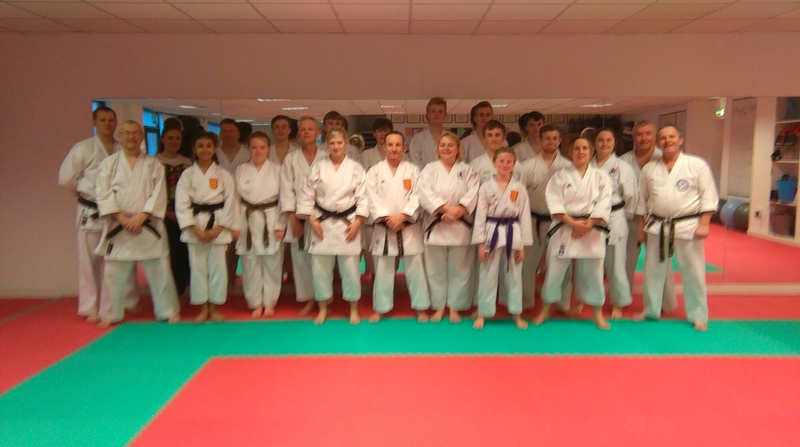 The seniors had a warm up which mostly consisted of various moving exercises, which reminded me of the way that Kazutaka Ohtsuka Sensei led his warm up when I last trained with him. Basically, if the body is too rigid, the Karate isn’t going to flow or work. We covered basics and a bit of Kata, then moved onto pairs work (Kihon’s and Kumite). We finished with some practical work and a tiny bit of conditioning. Sensei was teaching methodology throughout (rather than just beasting everyone), this really helped those carrying injuries to stay involved but more importantly, it means that the club instructors will have more ‘take aways’ which they can apply in their clubs. The juniors got to cover things we don’t normally get chance to in classes. They were buzzing after their 2 hour session, and more than one asked for another chance to train with Sensei soon, always a good sign. Thank you very much to all the students who supported the course, especially since it was part funded by the club fundraising pot. Special thanks to Anjalee (Kihon-do), Joe and Matt (Newcastle) and Stuart (DKA) for also supporting. This entry was posted on March 6, 2016 by hartlepoolwadokai. It was filed under Uncategorized .